After a day’s work, sometimes the last thing you feel like doing is slaving over a hot stove. When you are having one of those days, this will be the perfect dinner idea for you. 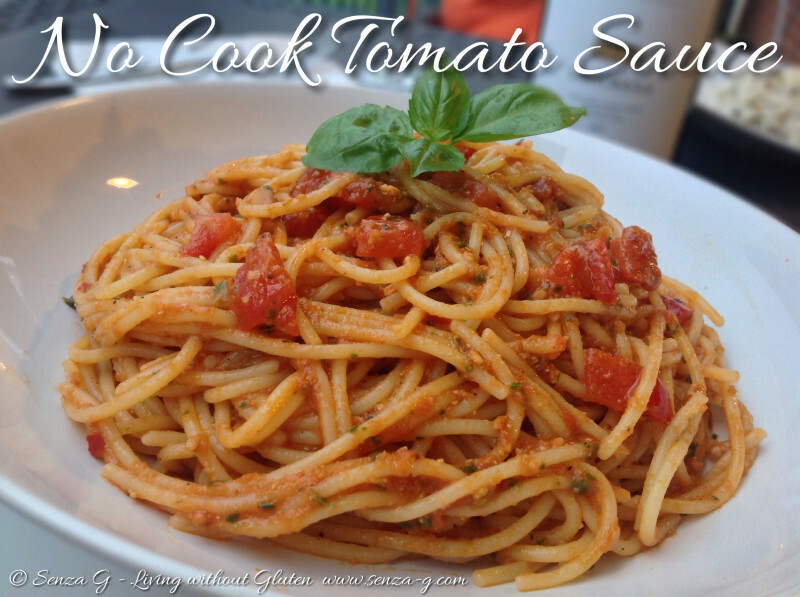 I have been making this sauce for years and it is one of my favorites. I sometimes just swop the fresh tomatoes with a can of crushed ones when I want to cut down on one of the steps or if I do not have enough tomatoes and I can assure you, it comes just as delicious! But when tomatoes are a-plenty now in summer, try it with fresh produce! Put the tomatoes in a bowl, cover with boiling water. After a few minutes, remove and peel. Remove seeds and roughly chop. Set aside a quarter of the chopped tomatoes. Place them in a food processor together with the garlic, sugar, 1tbsp basil, pine nuts and tomato paste. Process until sauce is smooth. Slowly pour the olive oil in a stream whilst blending on slow speed. The sauce will slightly thicken. Pour this in a glass bowl and add the chopped tomatoes you put aside. Leave for at least half an hour to allow flavors to develop. Boil the pasta and drain. Immediately stir in the tomato sauce and combine. Scatter the remaining chopped Basil on top and serve with freshly grated Parmesan cheese.